Transnational corporations play a role in the design, diffusion, and consolidation of sustainable development in the context of globalization and multinational firms. In this timely book European and American contributors analyze this role and explore the complex and dynamic phenomena of economic, political, cultural and legal interactions involved. 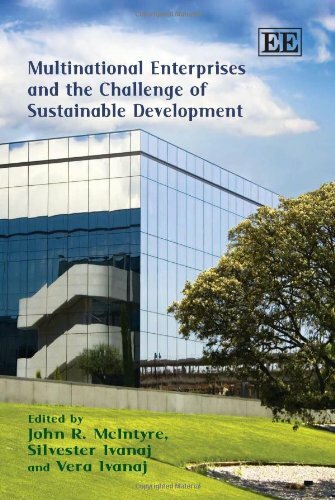 In order to understand this interplay, the authors examine the practices and organizational behaviors used by multinationals in sustainable development. They also discuss the evolving concepts that multinationals hold about sustainable development and corporate social responsibility and how companies reaffirm these philosophies through their strategy and organizational practices such as human resource development, marketing, supply chain, information technology, law, and communications. The authors outline an approach to help identify the key details and motivating factors in decision making. Scholars, students and policy analysts in the fields of business, ecology, economic development and developmental economics and consultants focusing in corporate planning and strategic analysis will find this original collection of great value.